Golden amber color. Fruity aromas and flavors of sweet berry coulis, wheat bran, toasty pie crust, and roasted hazelnut with a satiny, crisp, dry-yet-fruity medium body and a peppery, interesting, medium-long finish revealing notes of salted caramel on mixed nuts and chocolate almond milk finish. A fruity whisky with craveable nuttiness and a peppery lining. 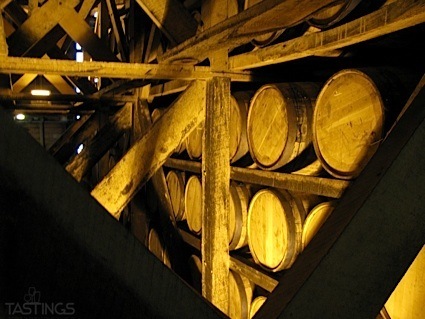 Bottom Line: A fruity whisky with craveable nuttiness and a peppery lining. 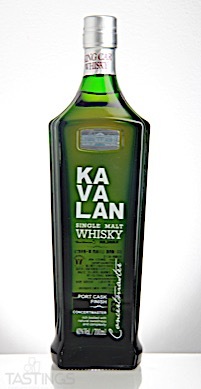 Kavalan Concertmaster Port Cask Single Malt Whisky rating was calculated by tastings.com to be 89 points out of 100 on 7/31/2018. Please note that MSRP may have changed since the date of our review.